THE 2OZ CASE OF SOUR CREAM AND CHIVE, 30 BAGS TO A CASE. 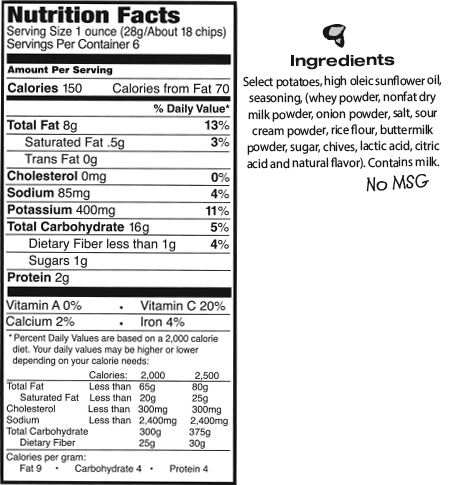 Great for your recommended daily allowance of potato chips. THE 6OZ CASE OF SOUR CREAM & CHIVE, 12 BAGS One of these bags fills up a bowl nicely. Great for parties, tailgating, or sharing an afternoon snack with your work buddies. 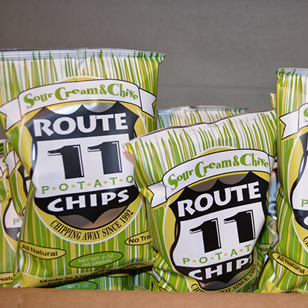 Tried these chips for the first time today at a local sandwich shop. Love them! They have the perfect amount of seasoning and crunch! The finest Sour Cream and Chive potato chips known to man. There's no going back after you've tasted these.